Major purpose of this lecture is to present Feasibility Analysis and System Proposal. Feasibility is the evaluation of how beneficial or realistic the development of an information system will be to an institution. 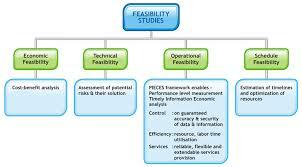 Feasibility analysis is the procedure by which feasibility is calculated. Other objectives are identify feasibility checkpoints in the systems life cycle and dentify alternative system solutions. Here also briefly discuss and define four types of feasibility and their respective criteria. Finally describe various cost benefit analyses using time adjusted costs and related benefits.